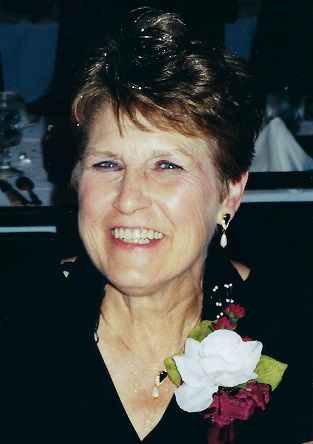 Patricia Hannan, 76, of Oelwein passed away on Friday January 18, 2019 at St. Luke’s Hospital in Cedar Rapids. Visitation will be from 4-7 PM on Tuesday January 22, 2019 at the Geilenfeld Funeral Home in Oelwein with a parish scripture service at 7:00 PM. Funeral services will begin at 11:00 AM on Wednesday January 23, 2019 at Sacred Heart Catholic Church in Oelwein with Fr. Ray Atwood officiating. Interment will be in Floral Hills Memorial Gardens at Hazleton. A memorial fund has been established. Patricia Ann Hannan was born on November 5, 1942 in Waterloo, Iowa to parents Alvin and Mildred (Chase) Buehner. She attended St. John’s Catholic School and then Columbus High School in Waterloo. On July 16, 1960 Pat was united in marriage with Wayne Hannan at Sacred Heart Catholic Church in Oelwein. They later divorced. She was employed in Housekeeping and retired from Mercy Hospital in Oelwein in 2007. Pat enjoyed puzzles, playing Scrabble and cards, watching Hallmark and Lifetime channel movies and Forensic Files. She also enjoyed cooking and baking, and time in her garden. She will be remembered for her sassiness, wit and humor. Pat had a big heart and unsurpassed generosity. She was a second mother to many family and friends. She will be dearly missed by all who knew, and continue to love her. Pat is survived by her children: Lorrie (Tim) Irvine of Castalia, Deborah (Ken) Irvine of Postville, Vicki Hannan of Oelwein, Lisa Valasek of Oelwein and Ann (Todd Fisher) Hannan of Oelwein; her grandchildren: Jennifer (Raymond) Tellin, Brian (Wendy) Irvine, Christina (Alex) Murray, Michael (Julie) Irvine, Christopher (Lyndsay) Irvine, Chad Hannan, James Davis, Matthew (Shannon) Hannan, Danielle Hannan, Kenzie (Brad) Bahr and Austin Valasek; 12 great-grandchildren; as well as many nieces and nephews. She was preceded in death by her parents; her sister Judith Nie (1998); her ex-husband Wayne Hannan (2009); her son Jerry Hannan (2012) and her son-in-law Michael Yam (2014). So very sotry for your loss. She was a wonderful lady. She will be missed! My deepest condolences to Pat’s family. What an amazing woman she was. I know she’ll be missed dearly. Thoughts and prayers to the family during their time of loss. Pat was a remarkable woman with a huge heart. I will always remember Pat as a warm, loving, kind and giving person. She will truly be missed. My sincere condolences go to her family,friends and everyone who was blessed to know Pat. Good be with you, and rest in peace. Sincere condolences to your family. Extremely nice person & she'll be missed by all of us. May God Bless.